Plumbing Services, Air Conditioning & More! Our homes are the most vital places for our family. A home comes with many activities which we often cannot handle by ourselves. Thus, you need a company like Rite Rate Heating and Cooling that can help you. Our company offers many services which contribute to improving your home. Are you looking for a company that can assist you with plumbing, air conditioning, heating and HVAC services? Then Rite Rate is the best company since a home requires plumbing services and proper heating and air conditioning repair. All these are fixed with our company since we specialize in all installations, repairs, and replacements that you will need. We offer the installation of new pipes if the damage is beyond repair. If the problem doesn’t require installation, then we will find the source of the problem and repair it. We also perform regular maintenance of your entire plumbing and sewer system, to avoid disasters in the future. Air conditioning is another vital service that our company offers. When it’s hot, there is a need for cold air. When the temperatures are too cold, then the air needs warming up. Our team can install air conditioning systems that will distribute cold air through the duct work; providing your home the comfort you need! When our appliances work for a long duration of time, they tend to malfunction. We also offer repair services when such times come. The expertise of our dedicated team allows them to repair damaged plumbing, heaters, and air conditioners. Replacements are also available where possible and new instruments can be installed. 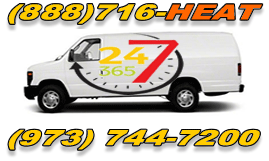 Rite Rate Heating and Cooling works on a 24-hour basis so you can reach us anytime of the day. Emergencies tend to occur most often at the worst times. At such instances, our dedicated team will be ready to help fix, repair, maintain or install any plumbing, heating, or air conditioning problem. Don’t hesitate to give us a call and we’ll make your house comfortable again!